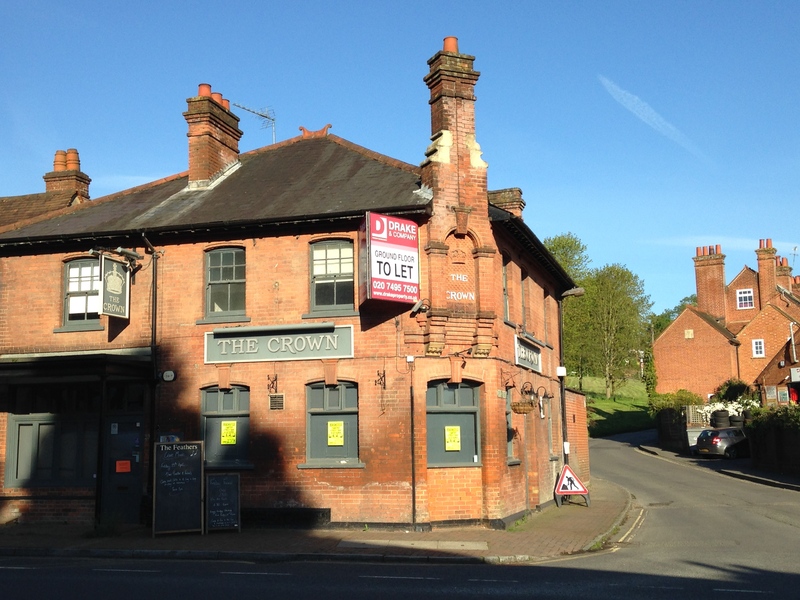 I blogged last month about the sadness of seeing a closed bookshop, the Lion & Unicorn in Richmond, Surrey. It’s just as sad to see an abandoned pub. 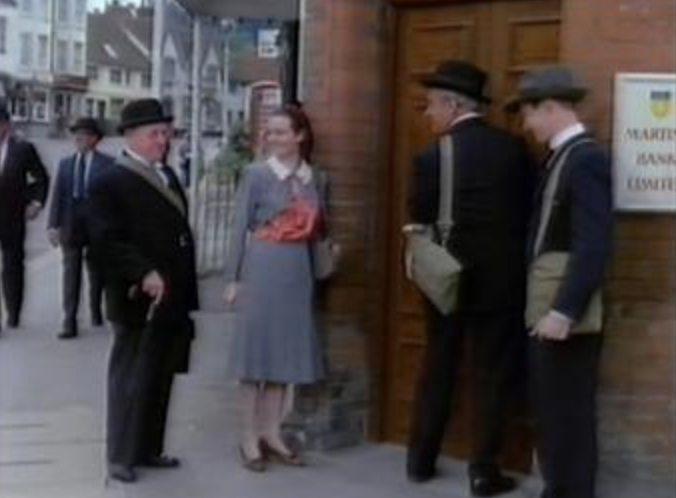 The Crown in Chalfont St Giles, Bucks, has a famous past: it posed as Captain Mainwaring’s Martins bank branch in the 1971 film version of Dad’s Army. 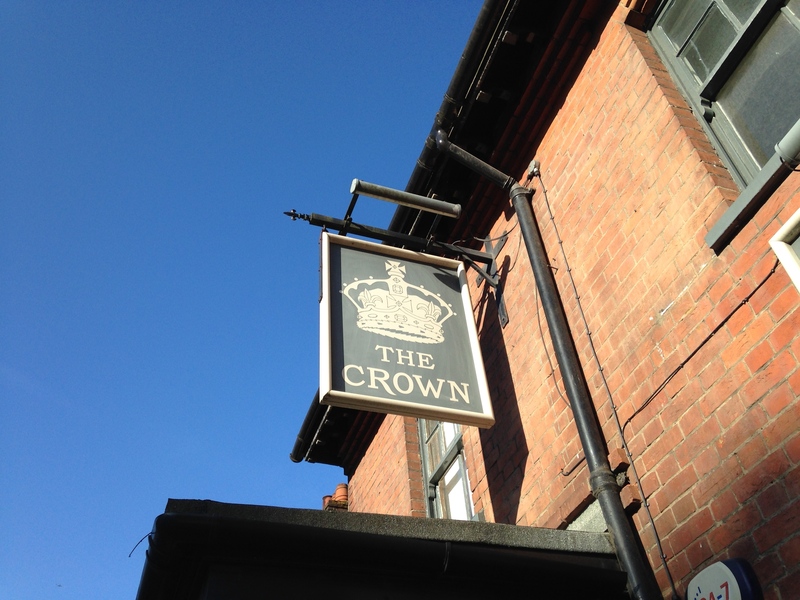 We really miss The Crown, as it was a favourite venue for birthday and anniversary dinners. We celebrated our fifth anniversary there on a beautiful summer evening in 2008 – our first night out since Owen arrived some eight weeks before. The owners have applied for permission to turn it into a cafe, and locals are hoping for a Costa. It won’t be the same, but as a Costa fan I’d much rather that than the sad sight of a closed pub. 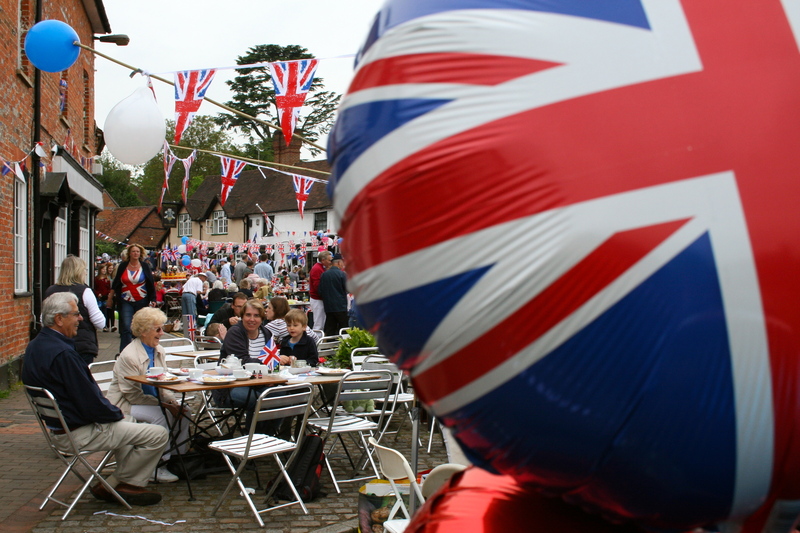 Our village went red, wet and blue today as it celebrated the Queen’s diamond jubilee. 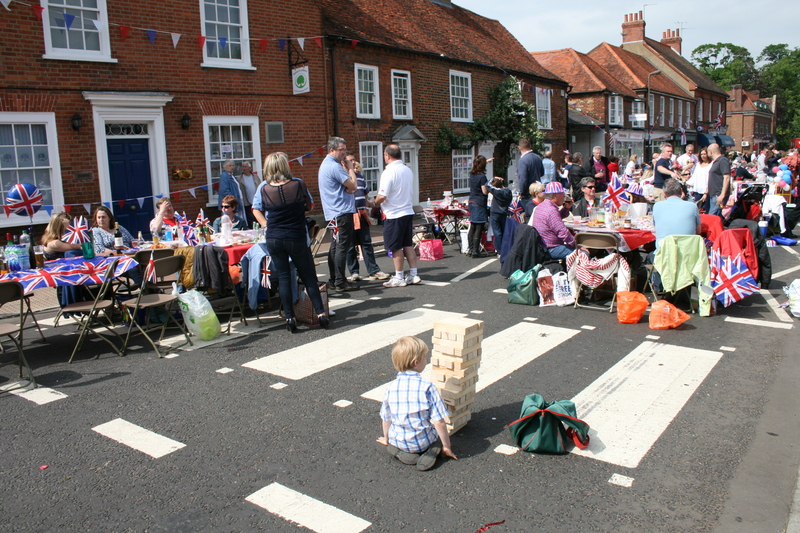 The centre of the village was one big party, and children played Jenga on the zebra crossing. It’s a familiar pattern: the Golden Jubilee was well marked here as well. 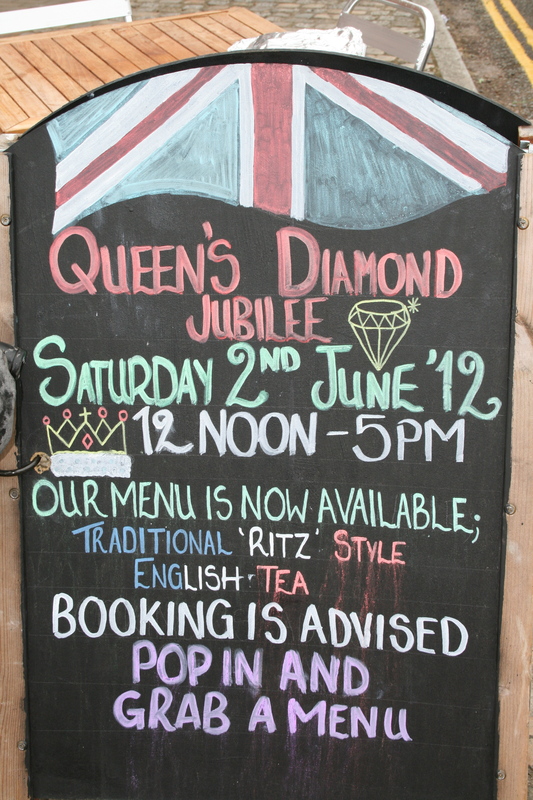 My mind went back to Britain’s only previous diamond jubilee: Queen Victoria’s in 1897. The world is a totally different place today, yet I have a personal link to that far-off celebration. My late grandmother, born in 1891, told me how her brother had climbed a tree to see a procession go by during the queen empress’s jubilee. I wish I’d asked her for more details when I had the chance. I assume it must have been an event in her hometown, Cardiff rather than the imperial procession in London. 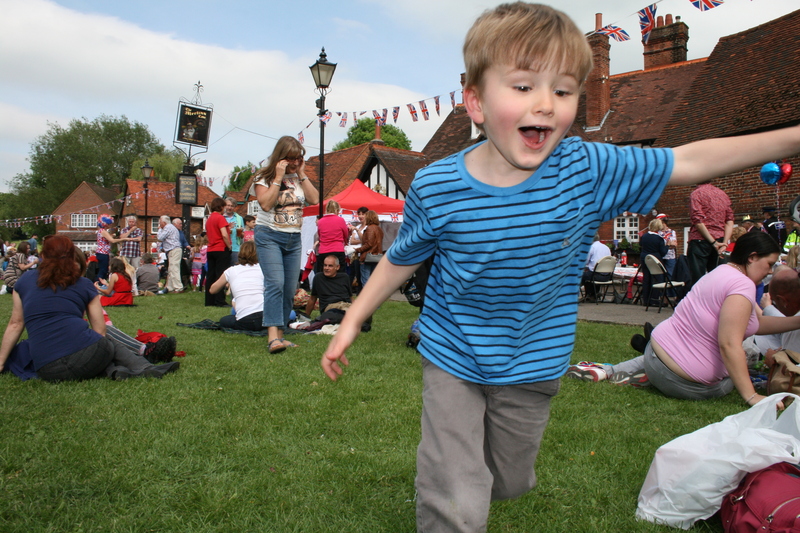 More than 11 decades later, our son Owen had a similarly joyous time at another diamond jubilee.